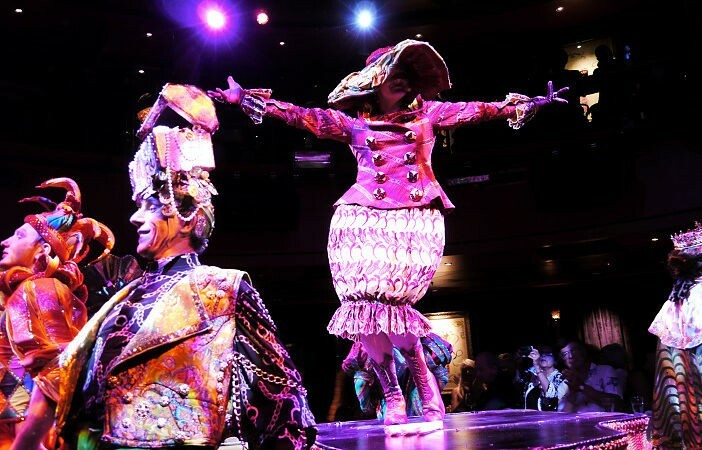 You are at:Home»Cruise Lines»NCL»The Norwegian Epic Returns For Her 2015 Season! The Norwegian Epic Returns For Her 2015 Season! Norwegian Epic is back in Barcelona and ready to begin her season of seven-night Mediterranean cruises – but only until November 22! Two new Broadway shows will take to the stage as headliners aboard Norwegian Epic this year: Burn the Floor and Priscilla, Queen of the Desert – The Musical, coming in October. Epic will also feature an all-new British pop music entertainment experience, The Cavern Club, bringing the legendary Liverpool venue where the Beatles performed to life at sea. Broadway sensation Burn the Floor brings the sizzle and passion of ballroom dancing to Norwegian Epic with “Ballroom Blitz”. An all-new and exciting show specifically designed for European guests. Based on the Oscar-winning movie, Priscilla, Queen of the Desert – The Musical is the heart-warming, uplifting comedy adventure of three friends. They hop aboard a battered old bus searching for love and friendship, and feature a parade of dance floor favourites, including “It’s Raining Men”, “I Will Survive” and “Girls Just Wanna Have Fun”. 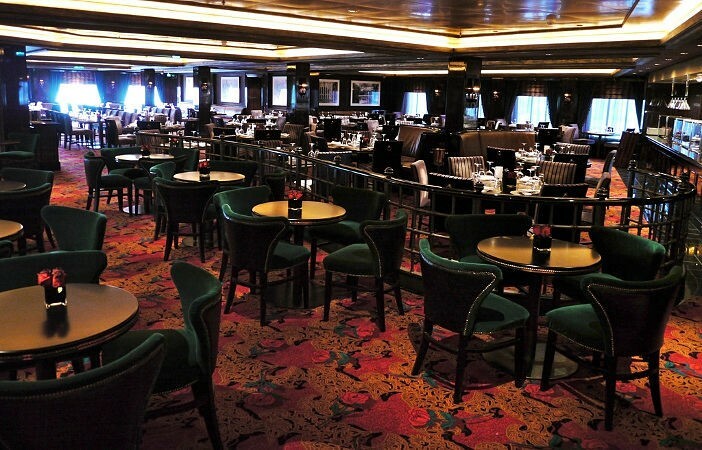 The show will open on the ship’s 18th October 2015 voyage along with a whole new entertainment venue created through an exclusive partnership with the owners of Liverpool’s The Cavern Club – The Beatles’ original breakthrough venue – which will rock guests each evening to the sounds of The Beatles and other international musicians. I must admit, it really is great to have Norwegian Epic back in Europe, but who wants to join me in asking our friends at Norwegian Cruise Line to homeport one of their ladies here? It’s about time the UK had a NCL ship leaving from British shores on a regular basis. On saying that, however, she will sail two voyages to/from Southampton this year, her 20th September sailing will arrive in the UK on September 26th and she will sail from the UK on a 7-night voyage on 18th October – following a 22-day dry-dock in France. Norwegian Epic is a ship with family at the very heart of her. She features a bowling alley, abseiling wall, Aqua Park with waterslides, and so much more. When it comes to keeping the palate happy, she offers a little something for everyone. Thanks to her huge variety of dining options: Cagney’s Steakhouse, Moderno Churrascaria, Chinese Noodle Bar, O’Sheehan’s Neighborhood Bar & Grill, Teppanyaki, La Cucina, The Manhattan Room, Le Bistro and Sushi Bar – and that’s not even all of them! 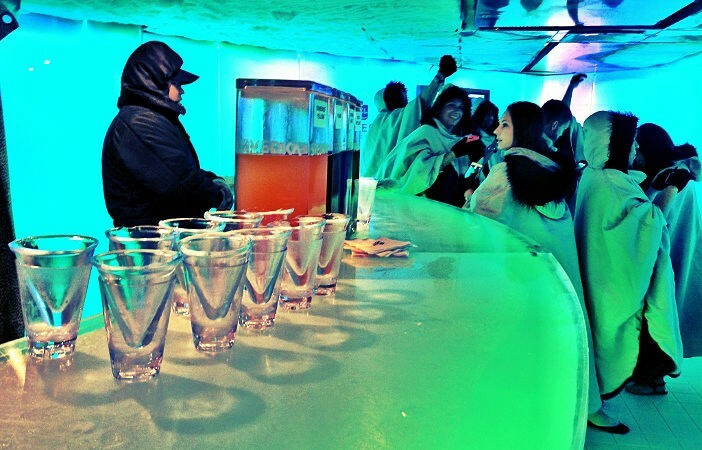 Norwegian Epic is also home to the SVEDKA Ice Bar, which was the first ever, real ice bar at sea. I also want to recommend Norwegian Getaway and Norwegian Breakaway. I sailed on Getaway in 2013 and what a ship she is! So many amazing features and an abundance of facilities to fill the days! I know Norwegian Epic was voted ‘Best for Sea Days’ a few years ago by Cruise Critic, but her newer sisters really can’t be that far off! Also, make sure you eat in Cagney’s! Best steak I have had in all of my 29 cruises! Oh, and don’t forget! We will also see Norwegian Escape in the UK briefly later this year – I will be there to see her and give a few things a try. We expect the 2015 season to be incredibly popular, so get in touch with us today to secure your cabin! Call our friendly sales team now on 0808 274 6777. Images sourced from Flickr Creative Commons. Credits: Cruise News Weekly, Alex De Cavalho and EDDIE. Norwegian Epic is back in Barcelona and ready to begin her season of seven-night Mediterranean cruises - but only until November 22!